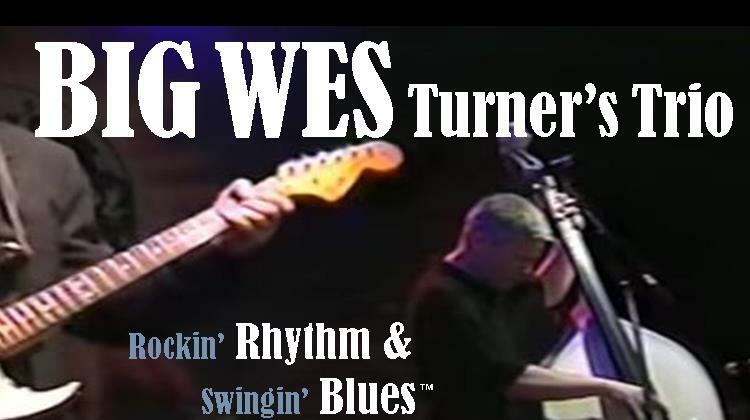 Big Wes Turner’s Trio is rescheduled at The Blu Room at Breezer’s Inn. The ill-fated Friday the 13th gig (but I ain’t superstitious), was canceled when a serious illness knocked out one of three legs of the Big Wes Turner’s Trio stool (wait, that doesn’t sound right). Anyway, thanks to the magnanimity of Big Al, Big Wes’ boys are back on Friday, June 8. On the Ioway side of the Big Muddy. May 9. The humidity was high, and so were The Maintainers. High atop the hill at the Olin-Turville Park Pavilion, overlooking Lake Monona and the Madison skyline, playing for the FOOT (Friends of Olin-Turville) sponsored event. Mel Ford even mesmerized music lovers with a mini-set of acoustic blues. How could you lose? Well, by not being there. Check back next year. May 12. Mel Ford and Tom McCarty joined The Cashbox Kings for the Crossroads Blues Society’s monthly concert at the Hope and Anchor Inn. Oscar Wilson (aka Roscoe Williams) ruled the room with his renditions of classic and original Blues. Joe Nosek (and his harmonica) mastered the ceremonies. Props to trap-set stalwart Steve Daugherty for unstoppable grooves. May 18. The Maintainers went down to The Crossroads Coffeehouse in Cross Plains for some early evening Blues. This intimate room serves wonderful coffees and pastries, but also great sandwiches and beers. The perfect place to pull over on Highway 14 and relax for a spell. June is about to bust out all over! Make the most of May’s last days, and mark your calendars for some summertime fun. The Sparks Band indulges the ever present musical itch that is The 60s at TheHody Bar & Grill in Middleton. 9 to late. The day before Memorial Day Monday finds The Birddog Blues Band (Ken “Birddog” Olufs on harmonica, Mel Ford on guitar, Steve Daugherty on drums, and Tom McCarty on bass) ripping it up down in New Glarus at Toffler’s Bar & Grill. On the spacious backyard patio, weather permitting. 6 ‘til 9ish. The Birddog Blues Band (Ken “Birddog” Olufs on harmonica, Mel Ford on guitar, Mark Haines on drums, and Tom McCarty on bass) at The Knuckledown Saloon, Madison’s home of the Blues. 8-ish ‘til midnight-ish. The Maintainers play Chief’s where the taps are many and Buck’s Pizza delivers from the other side of Cottage Grove Road. 8 to 11 pm, or so. Big Wes Turner’s Trio comes back to Me & Julio. Will they be on the wagon (the patio stage)? Only the weather lady knows for sure. 6 to 9 pm. The Cashbox Kings reign over Burlington’s Concert Series in Echo Park. Hold me tighter, Carmelita! Show starts at 6:30 pm. The Cashbox Kings sally forth to Tyranena Brewing (best beer in Wisconsin) in Lake Mills. 6 to 9 on the patio (per the weather). The Cashbox Kings bring it all down to earth at the Monroe (Wisconsin) Hot Air Balloon and Blues Festival. Downbeat at 6:30 pm. The Cashbox Kings do the Chi-Town Blues thing for the Music at Harry’s Place concert series in Beloit, WI. Downbeat at 7:00 pm. Big Wes Turner’s Trio returns to The Club Tavern in Middleton, home of The Mooseburger! 9 until late pm. The Cashbox Kings entertain the passing masses on Madison’s State Capitol Square during the lunch hour. Sample the food carts and chew along with the Blues. The Sparks Band, those masters of 60s nostalgia, rock out early at Chief’s. 6:30 to 10-ish pm-ish. Big Wes Turner’s Trio presides over this Fourth-O-July preview party at The Varsity Club in Merrimac. 7 to 11 pm. Check back for July McMusical events! FOR FREE!!! Just ask us.